Since 1985, Specialty Gems has served the Crystal River community, providing quality jewelry pieces and consultations. This family-owned business has some of the most beautiful and unique jewelry I have ever seen. Specialty Gems is owned by Carol Kimbrough. Carol stays very busy running her business and also supporting the community. She is a member of the Citrus County Chamber of Commerce and serves on an economic development board. 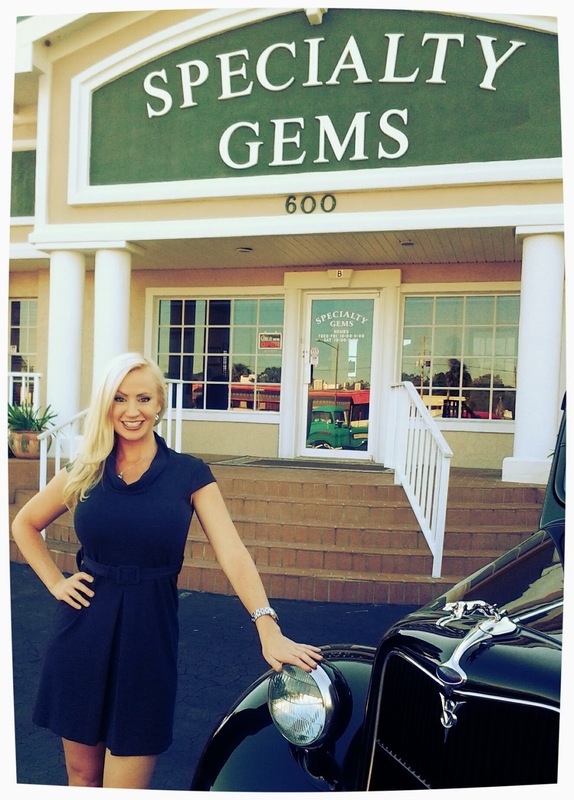 Ed, her counterpart at Specialty Gems, serves the community through the Kings Bay Rotary Club. Recently, they hosted a huge event to show appreciation to local businesses within Citrus County. Specialty Gems provided delicious food, live music and door prizes. They had over 100 attendees! Not only does Specialty Gems offer a wide range of jewelry, they also provide consultations, buy gold and estate jewelry. When families are going through a difficult time due to a death, Specialty Gems assists them by providing them with options for the estate. Specialty Gems offers a wide range of Florida-themed jewelry. You can find scallops, fish, shells, even manatees. A popular item is the destination bracelet. This unique bracelet is perfect for visitors of Crystal River or locals. It features a CR and a manatee. Other popular items available at Specialty Gems are engagement rings. They provide rings of all sizes. Specialty Gems will even design the ring that she wants. A few brands they sell are Simon G, Kabana, Steven Douglas and KC Designs. She said yes and he got it at Specialty Gems! Make sure you stop by Specialty Gems the next time you visit Citrus County. Like Specialty Gems on Facebook. Check out their Pinterest page!